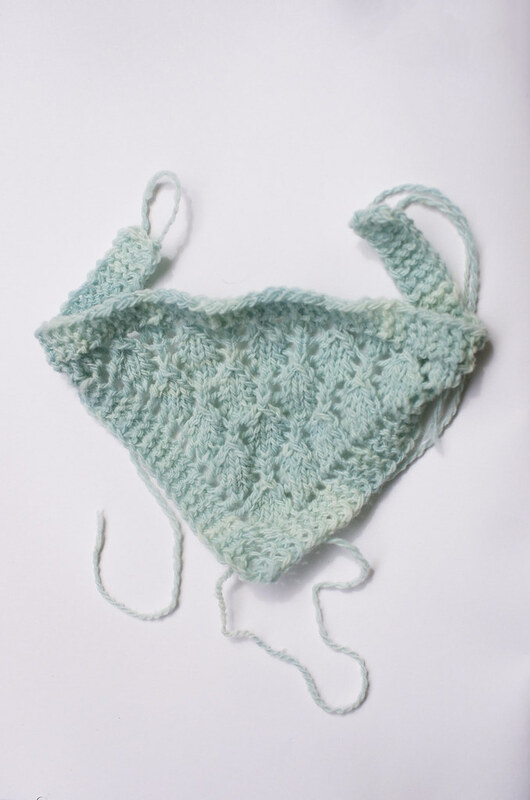 The last few days, I've been tinkering around with designs for my little Rambouillet stashette. I came up with three different neck accessories: a long cowl, a triangular scarflette, and a semi-circular shawl. 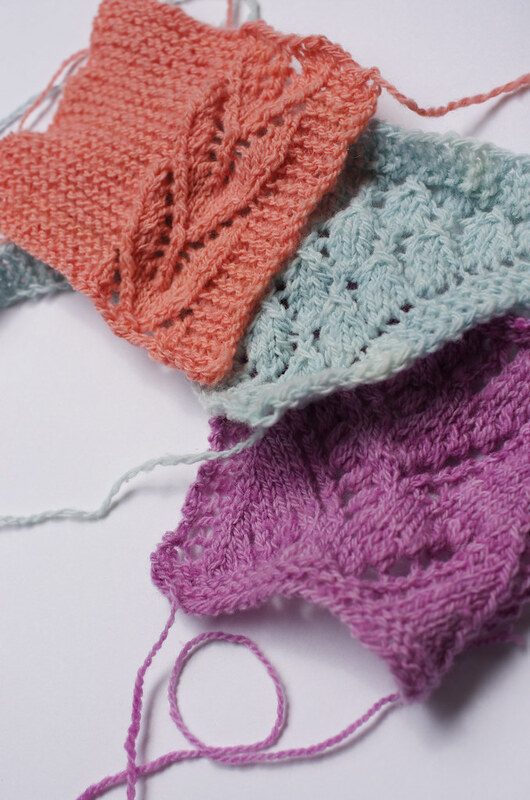 All three designs have garter stitch and lace motifs, but each has a different construction method and overall shape. The first two swatches were relatively easy, since I'd already had the ideas for those a while ago. 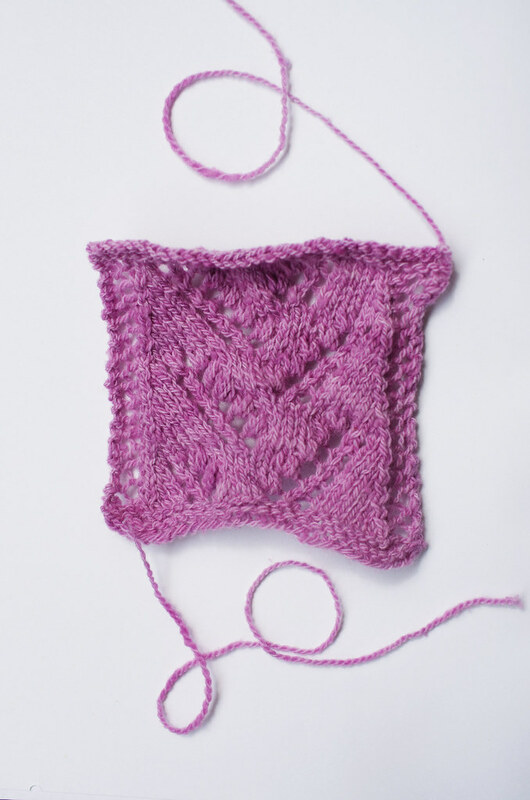 The third swatch (the violet one) was a little trickier; I had a vision of what it looked like in my head, but was having a hard time finding the right stitch pattern for it. In the end, using Estonian lace as inspiration, I charted out a new motif using building blocks from the stitch patterns in the back of Knitted Lace of Estonia. These swatches aren't blocked yet - and I expect them to grow a bit, and soften into a more cohesive fabric - but I'm already really happy with them. 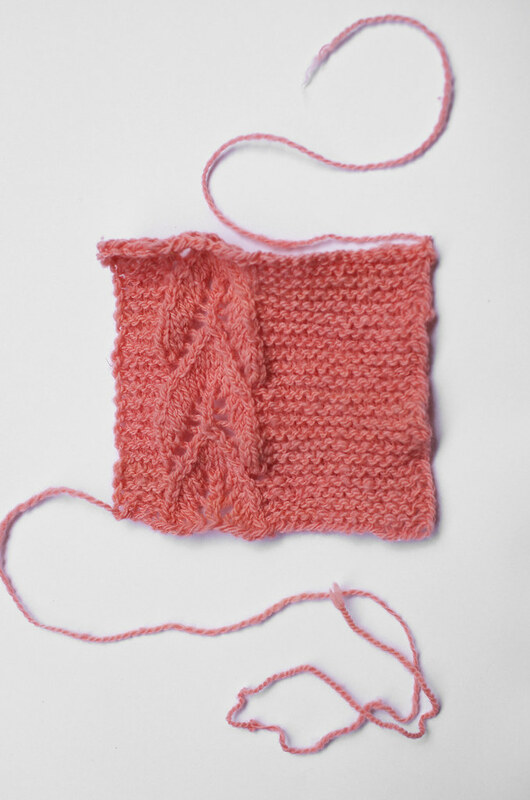 It's funny, because in my usual knitting life, I hate swatching, but when it's for design, I sort of love it. It takes a fair bit of planning, but it's a really nice way of seeing how the yarn plays with the pattern, and often gives me insight into the construction methods and techniques needed for the design. Plus, swatches are super little and cute, and can tell so much of a story in just a small piece of fabric! 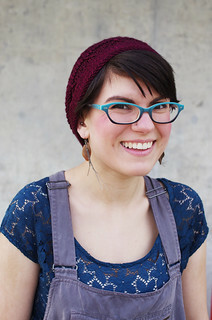 "It's funny, because in my usual knitting life, I hate swatching, but when it's for design, I sort of love it." Wow, these look GORGEOUS together, especially in those yarns.